Living in a generation where the perception of Hip-Hop is vague and no longer honest, Jyroscope bridges the gap between music lovers and those who were born in a world of expendable sonic trends available via your popular radio and television media. They simultaneously challenge the current state of world affairs through their artistry; prescribing an example of how to live through the ever-evolving chaos we call existence. Coming from the south side of Chicago, Jyroscope originally consisted of two explosive emcees possessing a monstrous live performance. I.B. Fokuz, the multi-talented Emcee/ Producer of the group joined forces with Emcee Collasoul Structure in 2005. In the beginning stages, Jyroscope performed at many open mics in the city of Chicago and created a buzz by performing several nearly completed songs from their catalog. From there, they have escalated to performing at high schools, colleges, and even becoming opening acts for world renowned artists such as Saul Williams and DJ Kool Herc. 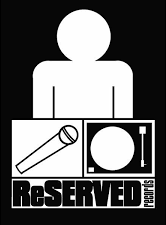 Over the years, they’ve built a relationship with Chicago’s own DJ Seanile, who is now officially the third member of the group. Together, this trio has created a demand on the underground scene of Chicago, and has now gained access to wider exposure by executing a breathtaking performance at SXSW in 2009 alongside Stones Throw Records’ Percee P.
Jyroscope’s influences are a collective of every genre of music, and this eclectic spirit is evident in everything from the daring instrumentals to exceptionally well-planned live shows. The group aims to inspire the masses with concept-driven songs filled with breathtaking emotion. I.B. Fokuz and Collasoul fill in the blanks of unanswered questions and questions we were always too afraid to ask. Creating a non-fictional reality that is often lost in music and media today, Jyroscope is constantly on a mission to grow in both their craft and their communication with their audience, guaranteeing an honest yet suspenseful and adventurous form of music. Jyroscope is currently promoting their independent debut album Rag-Time, which will be release in the fourth quarter of 2011. This project is influenced by the African-American era and musical tradition known as ragtime. This album is a collection of vintage sounds directed by a wide range of precise lyricism and energetic vocal delivery. It is to hip-hop what the Ragtime era was to American music. Jyroscope’s Ragtime is the “classical music” of its contemporaries, and is guaranteed to be hailed as a classic gem for years beyond its release. Without a doubt, Jyroscope believes that the masses could never deny good music crafted from the heart and soul. The honor of delivering it to them is the energy that keeps this extraordinary group working hard everyday.